Keep your scrummaging sessions fresh so your forwards are engaged and challenged. Focus on the basics, and also what happens next. Scrums don’t just happen in isolation, so the more you can mix up dynamic scrummaging activities with post-scrum exercises, the better. First, warm up with a Body profiling game. It will give you a chance to check that your players remember the best shapes to scrum while still involving them in movement and general play. Then, put them under a little more pressure with some live scrummaging in small numbers. 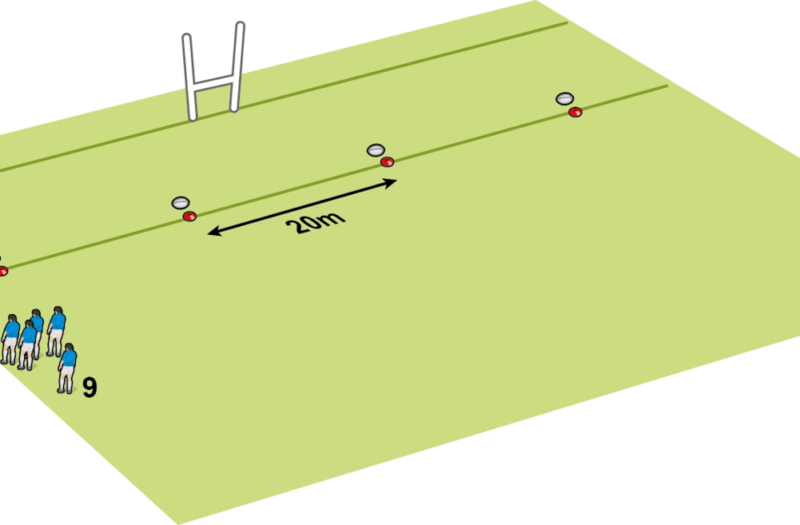 The session, Rugby front row body position games, sets targets for the players and is an ideal transition from warm-up to physical fun-on scrummaging. If you have access to more sophisticated equipment, then you might want to follow our Improve your scrum: tips for using a scrum machine. Then mix this in with activities for straight after the scrum, called Scrum and run, so the players have a chance to change their focus, as they would in a game.